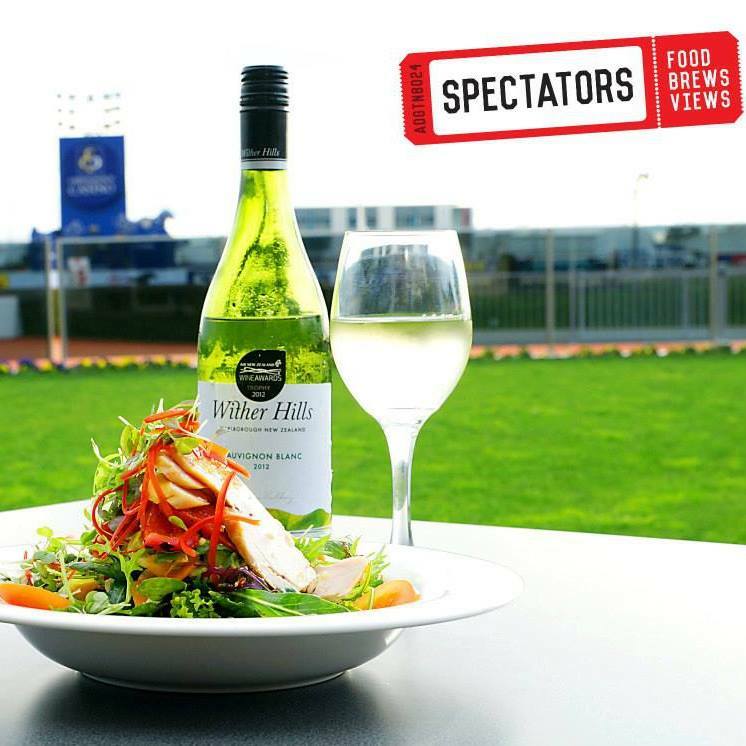 Spectators is a 7 day a week bar and bistro, located on the ground floor of the Metropolitan Stand at Addington Raceway & Events Centre, Canterbury’s leading multipurpose racing and events centre. It is located next door to (and shares a car park with) AMI Stadium and Horncastle Arena. Open for breakfast, lunch and dinner, it offers a comfortable and friendly bar and bistro. Spectators has ample FREE parking at the door and opens out onto the Lindauer Lawn – the perfect beer garden spot. 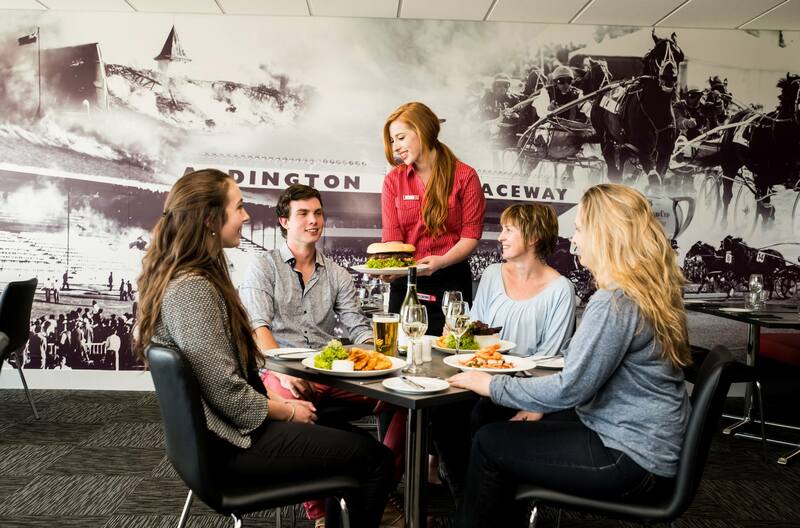 It is where sports supporters warm up and cool down and offers pre and post show dining, giving you the complete performance. Spectators – great food, tasty brews and awesome views! Always loved coming here but this time the food was not good. Great with the kids. Very friendly. First visit and we were impressed with the quality of the food and the service, everyone had a smile on their face. Food average, quite bland. Looked appealing but lacked flavour on Carnivores pizza and Tacos. Service also average and really non interactive as you have to go to bar and order, waitress/barmaid "busy" and not really interested. Told us that we are NOT meant to order individually but booking was for 4 people!.? Really disappointed. 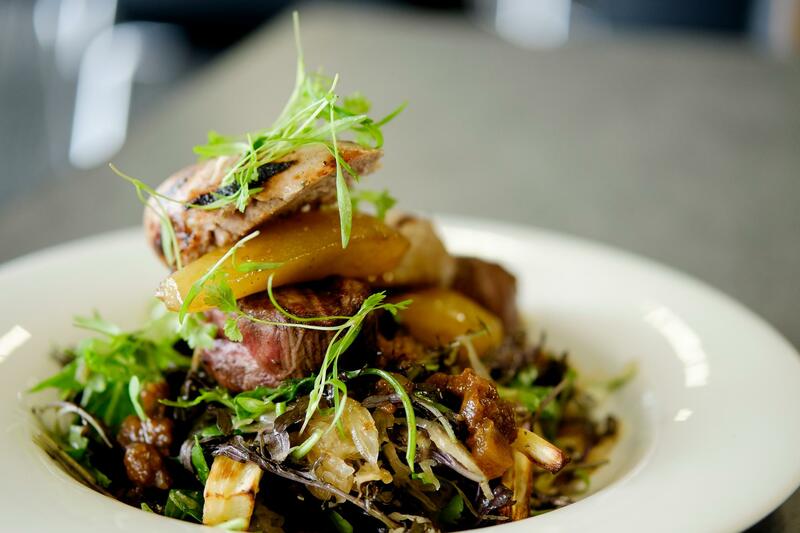 Book a table here before attending a show across at Horncastle Arena. I ordered the ribeye steak, when it arrived it looked like rump steak and was that chewy I was unable to eat it. Had to return the meal. We decided to go to Spectators as it was handy to our show venue and the reviews seemed like it would provide a good meal. That wasn’t the case and put a black spot on an otherwise pleasant evening. Great spot for Father’s Day dinner. Good food and lovely staff! Thanks so much for the rugby tickets. Will definitely be back. Disappointed with the food. It appear to be left over food from previous night. The only thing that was fresh was the chips and onion rings. Absolutely brilliant. Good staff, great food, nice relaxing atmosphere. Would visit again. Lovely meals cooked to perfection. Helpful staff with positive attitude. Wow what a super place for pre show lunch and drinks with kids, kids space was superb, the balls to kick around outside were brilliant every staff member was helpful and happy, food was served promptly and top notch , will definitely be back ! 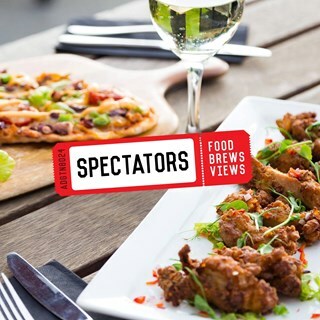 We went to Spectator's Bar on First Table and couldn't believe what value for money the meals were. We ordered the 1kg Ribs and they were amazing and so big that we took half home in a doggy bag. The staff were super friendly and welcoming. We will definitely be returning to Spectators Bar for another meal. Just a shame that you don't actually come to tables and take food orders, otherwise food was great value. Food and service were great. Staff was really friendly and helpful. The potion of the food was huge and yummy. Highly recommended. Excellent service and food. Will be back! Excellent food and service. Staff were super friendly and as we were dining with our 4 year old, they bought out colouring pencils and something for him to colour in, which was great while waiting for our meals which didn’t take very long. Definitely dine there again.